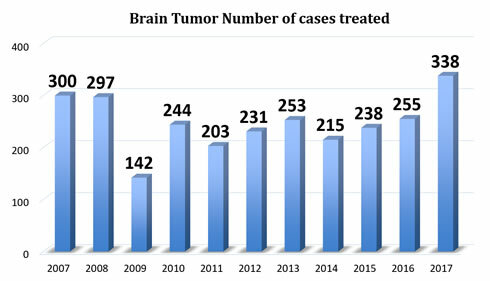 At our Center, we perform many types of surgery to treat brain tumors using various techniques ranging from keyhole surgery, which is a minimally invasive surgery that can keep damage of the brain to a minimum, to skull base approach techniques. When there is a higher risk in surgically removing the tumor, we combine with stereotactic radiosurgery to offer safer treatment strategy. 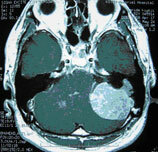 If a tumor is small, it is possible to treat with only Gamma Knife surgery. 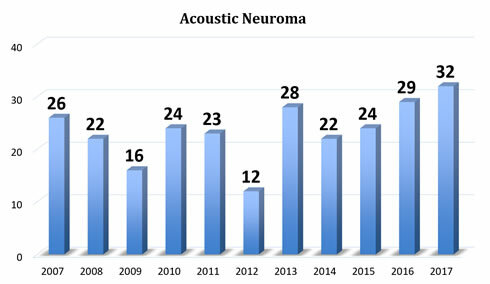 If the tumor is medium size or larger, other surgery procedures may be preferred to prioritize for safety. In general, a 6-7cm incision is made behind the ear and a craniotomy is performed with approximately 500 yen coin sized hole to remove the tumor. The length of the surgery depends on the size of the tumor, but it generally requires approximately 3-5 hours. 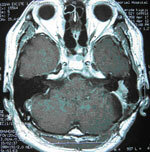 Additionally, if necessary, Gamma Knife surgery may be performed to treat any residual tumor. 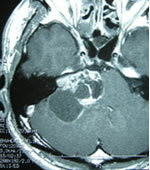 This tumor can appear at any location inside the skull. Depending on the tumor site, different treatment options are available. 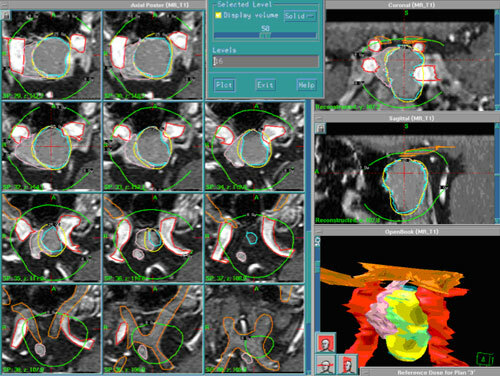 It is ideal to remove the whole tumor, but if we need to operate in a region where the risk of surgery is high, Gamma Knife surgery is also performed in combination. 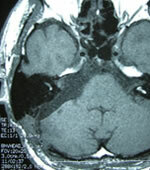 If the tumor is in the cranial base, a special approach may be necessary. 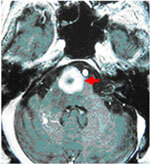 This tumor tends to grow near the optic nerve, often causing ocular manifestation (eye symptoms). If total removal is achieved, it can be completely cured. However, since the internal carotid artery, cavernous sinus, and cranial nerve run on both sides of the tumor, a thorough treatment plan and delicate procedure are necessary. 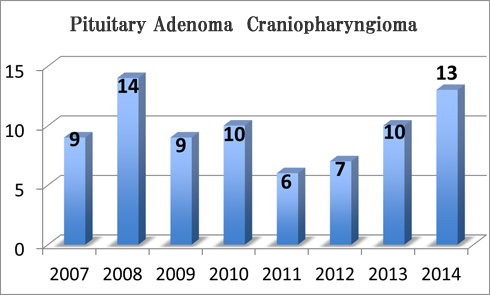 At our Center, specialists in otorhinolaryngology and transnasal endoscopes create an approach from the nose to the cranial base, then neurosurgeons perform a small craniotomy with a hole about the size of a 1 yen coin to remove the tumor. The surgery takes appropriately three hours. Since the incision is made at the back of the nose, the surgical wound is not visible from the outside. 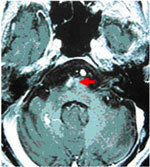 This is a rare tumor, but it can cause trigeminal neuralgia, and removal is necessary if the tumor is of a certain size. We consider and determine a treatment option appropriate for each patient, ranging from keyhole surgery to special craniotomy. Malignant tumors (lung cancer, breast cancer, etc.) could metastasize in the brain. Gamma Knife surgery is extremely effective, but in cases of large tumors, surgical removal may be necessary.